You can call (877) 272-2293 and speak to a friendly representative who can assist you, or you can complete this application online. 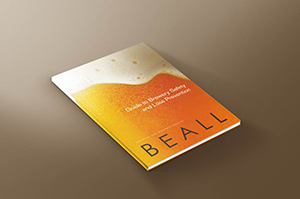 With just a little information about your microbrewery, contract brewery, or brewpub, we can provide you with a quote for your customized brewery insurance package. Are those serving alcohol L.E.A.D and/or Tips Certified for responsible alcohol service? Do you batch test for recall? Have you conducted any special events in the past 12 months? Do you plan on conducting any special events in the next 12 months? Do you batch code all of your beer? Do you have a written product recall policy in place? If yes, how often are safety meetings conducted? Do you permit unguided tours? Does your brewery floor have non-skid surface? Are drains built into the floor? Is the facility fully protected by a burglar detection system that rings to a central station? Is the facility fully protected by a smoke detection system that rings to a central station? Are you the sole tenant in the building you occupy? If no, what kinds of operations are in the building? Is the facility fully protected by an automatic sprinkler system? What is the maximum annual capacity (no. barrels) of your facility based on current configuration? What is the capacity of your largest product tank or vessel? Do you directly distribute any product yourself? Do you hire others to transport your products? Driver #1: Driver's license no. Driver #2: Driver's license no. Have you been sued or received a complaint relating to bodily injury? If yes, please provide details including dates of occurrence. Have you ever recalled a batch of beer? Have you ever suffered a loss or damage to your own vehicles, property, or equipment? If yes, please indicate when and why.